General Electric’s Power Conversion division will be installing motors to help Citic Heavy Industries operate its Angang Steel grinding mill facility near Anshan, China, more competitively. Citic is recruiting GE to supply energy-efficient motors for its semi-autonomous grinding (SAG) system. To meet this demand, GE is providing two 4,200 Quadramatic motors and controls. 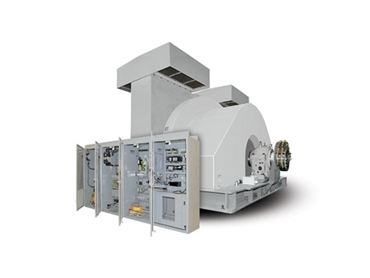 GE will be supervising installation and commissioning. The motor system has one of the highest efficiency levels for dual-pinion, fixed-speed mill applications. Compared to induction or gearless technologies, a 9000-horsepower Quadramatic motor system uses about 4.5 million kilowatts (kWh) less electricity per year, avoiding emissions of about 2700 tonnes of CO2 on the US grid. This is the same as the annual CO2 emissions of more than 500 passenger cars on American roads and saves more than $US300000 in electricity costs per year at 2012 average US industrial electricity prices of $0.07 per kWh. The Quadramatic system is the only technology that provides leading VARs without the need for additional equipment. This contributes to a smaller generating plant and a decreased energy purchase. The motor has high efficiency to minimise losses, large air gaps to maximise reliability and brushless excitation for the main field winding. It also has the ability to contribute leading VARs to the power system to compensate for other logging loads and to provide bus reactive voltage support. Lower maximum demand can reduce energy bills. The drive system has two low-speed synchronous motors, driving the mill through air clutches and pinions onto a common ring gear.